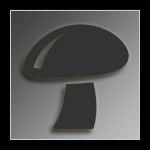 A new Listing for All Things Shroomy by mjshroomer. HEre is the URL for 67 species of fungi, 5 are non-active species once listed everywhere as active due to a few false positives in the late 1950s and mid 1960s. This URL has all listed in the Ultimate Guide to Psilocybine Fungi. Check it out. Articles, ID, Chemistry, Cultivation. Will soon include a legal copy of PF's growing guide with nice photos all donated by Billy McPherson several years ago but due to other situations I put off posting the book into the cultivation CD.